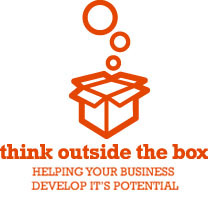 This branch of the company has devised, and is continuously updating, a range of Business Training Programmes to suit the ever changing needs of developing and new businesses. All aspects relevant to the day-to-day operation of a business enterprise are addressed in detail during the programme. The main topics address everything from Personal Audit to Business Audit. The Company, assisted by a number of specialists in the fields of product design, marketing, packaging and display etc. has designed programmes to suit all types of business. An external business tutor to the Crafts Council of Ireland, it have also developed a range of courses that are specifically geared towards the needs of Craft Workers. To date, Proprietor, Marian McDonald, has personally delivered these programmes to, and assisted, in excess of 1000 craftspeople in the production of Feasibility Studies and Business Plans. From her contact with Business People during programme delivery, visiting workplaces and attendance at Promotional Trade Fairs etc., plus their regular follow-up assistance, Marian and her associates have developed a deep understanding of their unique needs and has also assisted in securing workspaces, sourcing materials and locating markets. To promote Irish Crafts within the European Community, this company was involved in the organisation and smooth running of an international trade fair, held in Tavira, Portugal in May ‘98, under the ATTAS Project. The company has delivered a wide range of programmes to suit all sectors, as contractors to County Enterprise Boards and Colleges throughout Ireland.